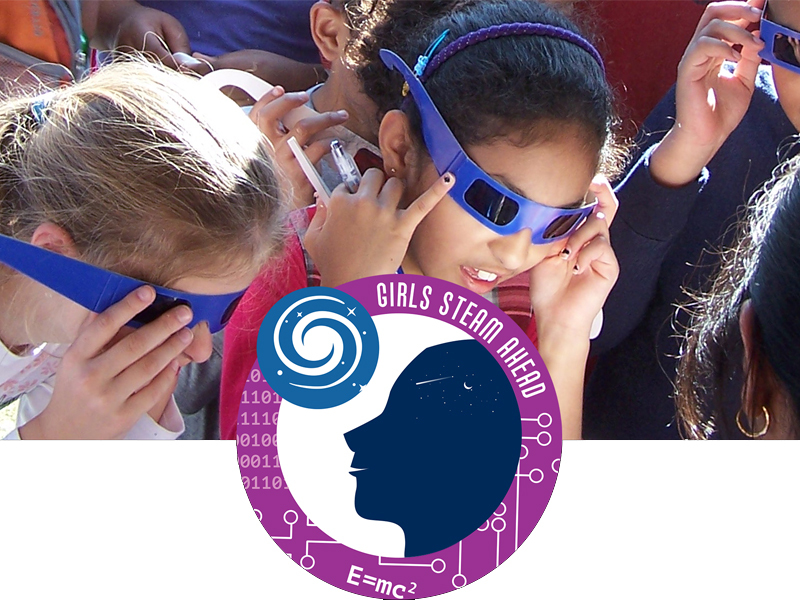 The Girls STEAM Ahead with NASA (GSAWN) initiative is again partnering with public libraries to provide NASA-themed activities for girls and their families. Part of the NASA’s Universe of Learning program, GSAWN resources include a range of computer-based and paper-based activities, along with exhibits and poster series. During this webinar, you will hear about the GSAWN project, why girl-serving programming is important and needed, and the range of resources available to your library. There will be time for questions so we can address any concerns and best support your library efforts. Dr. Emma Marcucci is an Education and Outreach Scientist at the Space Telescope Science Institute. She received her Ph.D. in planetary geology from the University of Colorado at Boulder in 2013. As a Postdoctoral Fellow, she worked with satellite stereo images to make topographic models of locations that lack good elevation information, such as in Alaska and on Mars and Mercury. Dr. Marcucci is now part of the Office of Public Outreach at STScI sharing the science of the Hubble and James Webb Space Telescopes with the general public and supporting informal learning of NASA astrophysics content as a member of the NASA’s Universe of Learning. Holly Ryer is a Senior Education Specialist at the Space Telescope Science Institute (STScI) in Baltimore, Maryland. As a member of the Science Communications and Engagement team, Holly supports the NASA-funded “Universe of Learning” informal education program. She is responsible for the development and assessment of inquiry-based learning approaches and partnership building for projects such as Girls STEAM Ahead with NASA. She also supports NASA reporting and program evaluation activities and communication activities for the Hubble Space Telescope mission. Holly is a former classroom teacher with eight and a half years’ experience teaching in Baltimore-area schools. During that time, she served on various committees, developed district-level curriculum, and participated in the scoring of the Maryland State Performance Assessment Program. Now, Holly takes great pleasure in supporting NASA education and outreach efforts. Thalia Rivera is a Public Engagement Specialist for NASA’s Exoplanet Exploration program. She works on public engagement by coordinating and managing outreach events such as “A Ticket to Explore JPL,” American Astronomical Society conferences, and other general public events and scientific conferences. She develops and assists in creating informative materials for distribution to the public and science community. These events and materials help make the science of exoplanet exploration relatable, accessible, and exciting to those who may be unfamiliar with current NASA Exoplanet missions and research. Ms. Rivera has a bachelor’s degree in Speech Communications from the University of La Verne.